The website is designed to provide information for persons interested in the activity of Hazera and as a means for contacting Hazera. Logging onto or visiting the site shall be deemed the user's acceptance of the terms of the regulations, with no limitation or stipulation with regard to the content of the regulations, and he undertakes to act as set forth in the regulations. If a user does not agree with the provisions of the regulations verbatim, he is asked to cease any use of the site, including browsing the site. Whatever is stated in these regulations in the masculine also imports the feminine, and vice versa. Whatever is stated in the singular also imports the plural, and vice versa. Any reference to "Hazera" in the regulations also imports reference to its employees and anyone authorized on its behalf. The provisions of the regulations are cumulative. Reference to a specific subject does not derogate from the general purport of the regulations. According to the copyright laws in effect in Israel, and according to international conventions, the copyrights in the name of Hazera, the trademarks of Hazera , the site design and the posts of Hazera on the site, belong to Hazera . These copyrights apply, inter alia, to the text, images, illustrations, sound clips, video clips, graphics and software applications on the site (hereinafter: "the protected material") unless explicitly stated that the copyright to the protected material belong to another entity. The site user is entitled to make "fair use" of the protected material, subject to the intellectual property laws of the State of Israel and the Copyright law,5767-2007 in particular. In the event of citation from the protected material, the user shall make certain to mention the name of the content creator (whether Hazera or another entity), its origin and its location in the Hazera website. Subject to the copyright laws, the user is not allowed to copy, redistribute, perform in public, transmit, make available to the public or publish protected material, to prepare a work that is substantially based on a work of Hazera, or rent such works, or effect any transaction therewith without prior written explicit approval from Hazera. The user is aware and agrees that he is solely liable for use of the site, and inter alia he shall exercise his sole judgment when relying on the content, information, services, opinions and positions displayed on the website - or on another website which can be referenced from the website, including information, content, offers and positions displayed or posted there. Hazera is not liable for inconvenience, distress, are any damage, direct or indirect, caused to the user due to his use of the website, access or lack of access to the website or to any other website, or for reliance on the website content or performances as set forth above. 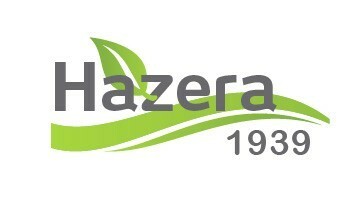 Hazera shall also not be liable for viruses or faults caused to the user's computer or software, directly or indirectly, as a result of using or browsing the website. 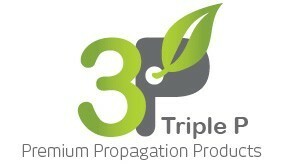 The website may contain links to third party websites or to advertisements, articles, information, offers etc. contained in another website or belonging to another corporation (each one of these, hereinabove and hereinafter: "another website"). A link to another website is intended solely for the convenience of the user and shall not be deemed a recommendation of Hazera with regard to another website or a company related to the other website or the products and / or services sold on another website. Only the substantive and procedural law of the State of Israel shall apply to any matter relating to or resulting from the website or the regulations and only the competent courts in the city of Tel Aviv shall be afforded exclusive jurisdiction in connection therewith.